California has been suffering from historical drought conditions. 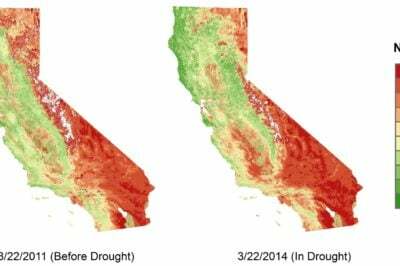 Almost all of California is experiencing drought conditions. Many parts of California have received the lowest measurements of rainfall since record keeping began back in 1885. In the recording period from February 1, 2013, through January 31, 2014, California’s statewide total rainfall average has been only 6.97 inches (177.04 millimeters) of rain fell. The normal annual average is 22.51 inches (571.75 millimeters). According to NOAA, the Central Valley is experiencing Extreme Drought and the greater Los Angeles area has received a Critical Risk forecast by NOAA’s Storm Prediction Center has labeled due to strong winds and very dry conditions. Drought conditions are so severe, that the effects of the drought can be visually seen and also measured from space. Last month, NASA released side by side photos taken exactly one year apart that showed how dire the lack on precipitation in the form of snow has been. 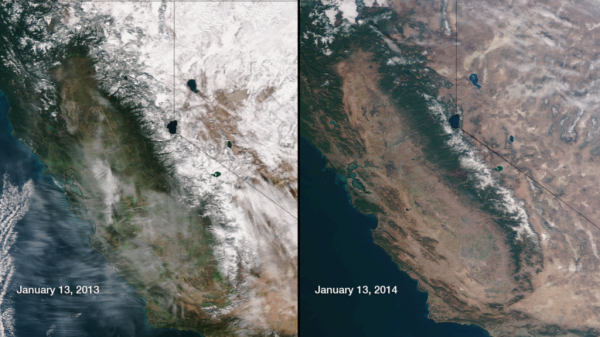 The images, acquired by Suomi NPP satellite’s VIIRS instrument, show parts of California and Nevada taken on January 13, 2013 and the same day in 2014. The image from 2013 shows normal snow conditions, with most of the Sierra Nevada mountain range and areas towards Nevada almost entirely covered in snow. The drastic change is noticeable in the 2014, with almost no snow except at the higher peak locations. The Coast Range and Cascade Mountains are almost completely devoid of snow. California typically gets 30% of its water supply from mountain snow but the snow pack is currently 10-30% of normal. The amount of green vegetation is noticeably greater in the 2013 photo as compared to the mostly brown landscape in the Central Valley. 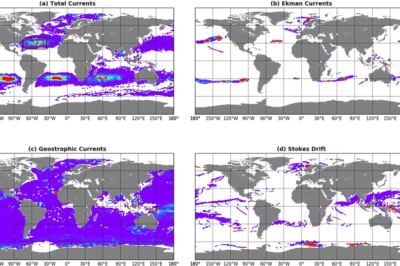 Snow conditions in January in 2013 and 2014. 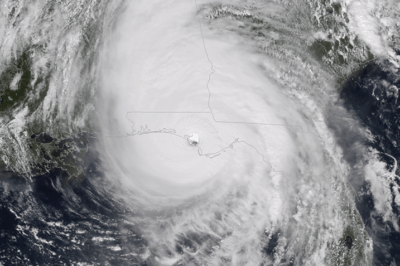 Source: NASA/NOAA. 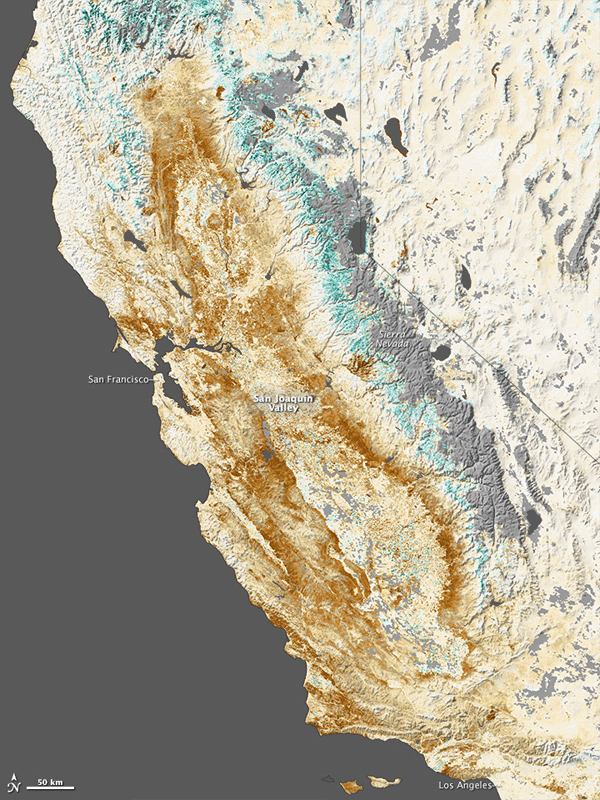 NASA has also released a remotely sensed map showing vegetation anomaly in California. Using data from Moderate Resolution Imaging Spectroradiometer (MODIS) on NASA’s Terra and Aqua satellites, the map shows the results of Normalized Difference Vegetation Index (NDVI), a measure of how plant leaves absorb visible light and reflect infrared light and compares plant health from the period January 17 to February 1, 2014 against ten-year average plant conditions. The brownish/tan areas depict plant growth that is less than normal. Teal areas are where plant growth is higher than normal, and grey is for areas lacking data, mostly due to cloud cover. Map of vegetation anomaly in California. Source: NASA. Which Countries Have No Airport?